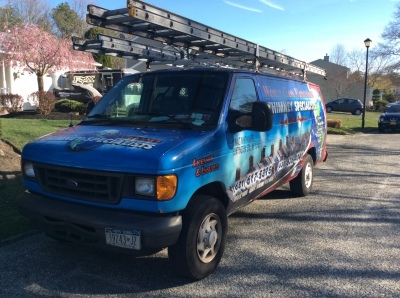 ​​WORLD CLASS MAINTENANCE INC: HUNTINGTON'S CHIMNEY COMPANY & ALL OF L.I. Very thorough and repaired all possible entry points for leaks. Gas chimney had no inner lining and was crumbling. They installed stainless steel liner, also reinstalled chimney caps and tarred around possible openings. They also came within an hour of my call and stayed at house about 2 hours. Anthony and his crew were great! Very fast and knowledgeable. Saved us a lot of hardship in the future. Would highly recommend and use again. I highly recommend World Class Maintenance Inc.! It's a family owned business so they are truly caring, courteous, professional, and extremely knowledge. They answered all my questions. They cleaned the chimney, installed a stainless steel liner since I didn't have one and cracks/ holes inside were evident replaced the chimney crown because the original was cracked and crumbling, and they came back to waterproof it, installed a new chimney cap, made the necessary repairs to the flashing which had gaps, and replaced the old furnace pipe and recemented the connection to the wall. The company's website gives you lots of useful information with before and after photos. Thanks Steve, Anthony and Stevie for a job well done! I highly recommend World Class Maintenance! They are very courteous and do excellent work. They are truely professionals in their field. 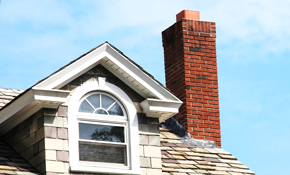 If you need any work done on your chimney, such as cleaning, liner installation, waterproofing, etc, they are the people to call. When people say that good people don't exist anymore, they obviously haven't met the people at World Class Maintenance. World Class Maintenance Chimney, was just that. On a scale of one to ten, with ten being the highest score, World Class Maintenance Chimney gets a Ten. Yes I would highly recommend the business to anyone who wants a job well done. Keep up the good work guys. I usually do not write reviews, and when I do it's because of a poor experience. But this time I am writing this review because of a great experience! 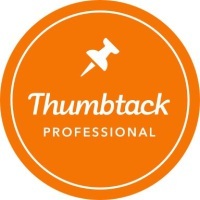 They were very friendly, professional, thorough, knowledgeable and would explain exactly what they were doing. They are not out there to rip anybody off, they will give you a great price and do not push you for something you don't need. I highly recommend these guys for any fireplace or chimney work that you need done. This is a great family owned business. They are very pleasant and professional, and they cleaned up after the job was completed. The price was excellent for all that they had to do, which included a chimney liner and some brick repair work. Thank you WCM. "Long Island's Honest Chimney Company"